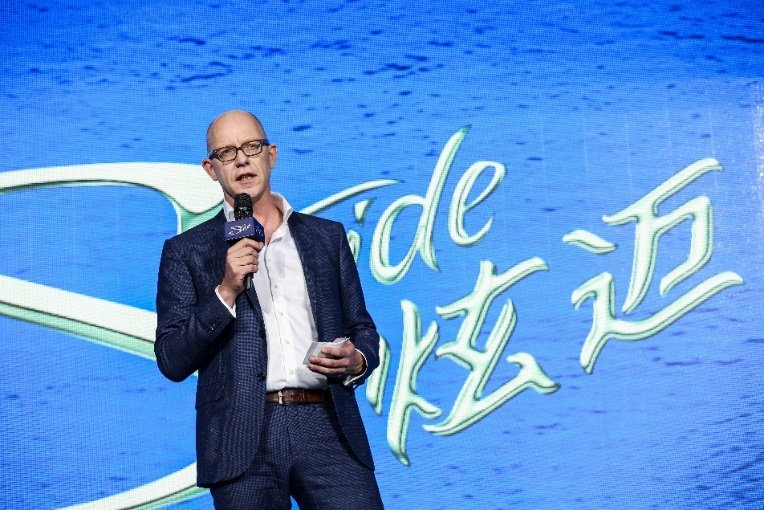 Stride Accelerates Growth through Innovation with Unstoppable Passion | 2018 Press Releases | China | Mondelez International, Inc.
Beijing, August 8, 2018 – Today, Mondelēz China launched Stride Waves, a new series of gum products in Beijing. 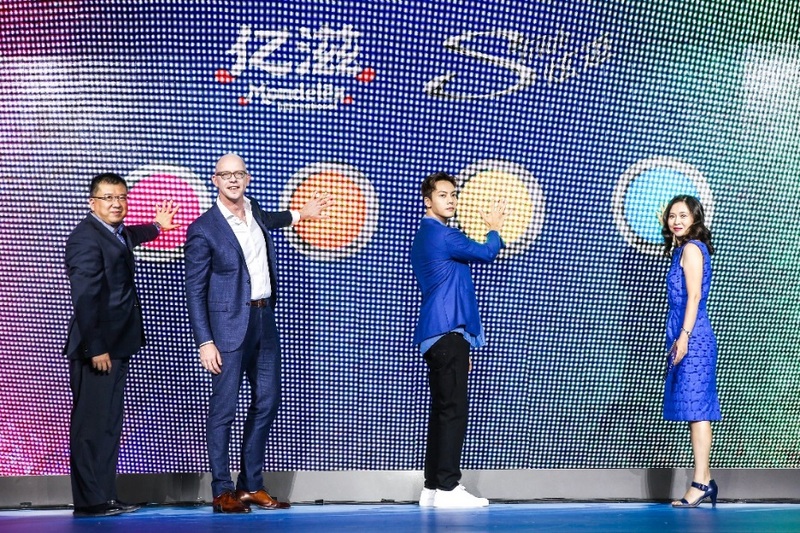 Managing Director of Mondelēz China, Mr. Joost Vlaanderen along with other senior executives of the company and Stride brand ambassador William Chan attended the event to unveil this eagerly anticipated new product. Stride Waves targets the “sensory enjoyment” segment in the gum category, and draws inspiration from the candy category to make gums even more appealing and tasty, driving not only this market segment but also the whole gum category to achieve growth. The event created a cool navy blue Stride world for guests. Under the “unstoppable waves” vibe provided by the product, William Chan led four crews to create unique fashion styles to demonstrate the product’s “Lang“ spirit representing the unique, funky culture of young people. At the product launch moment, amid the rising expectations of the participating guests, the four flavors of Stride Waves appeared on the multiple big screens surrounding the stage, to an enthusaistic recepton from the audience. The new product comes in Mango Peach, Passion Fruit, Cooling Lemon, and Peppermint, and it features a special cube shape, dynamic bouncy texture with a crispy coating, and a unique candy-like vibe. And, last but not least, continuous waves of fruity flavor brought by its flavor beads. 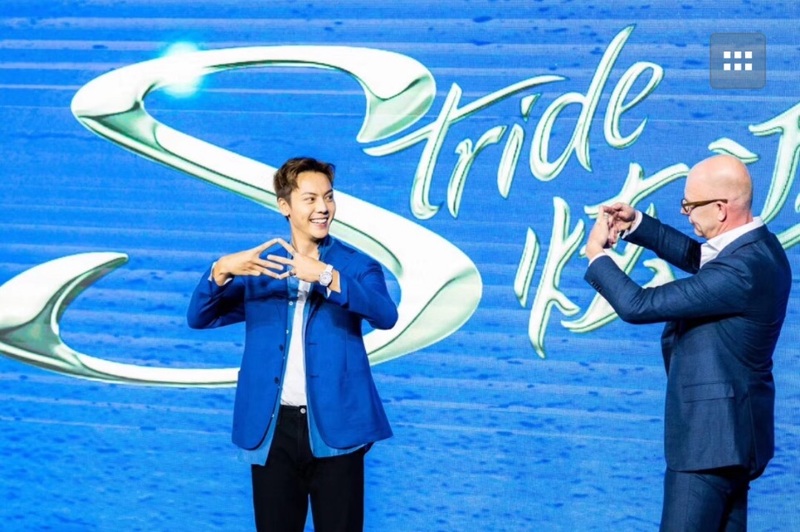 Following the product launch moment, Stride’s brand ambassador William Chan was invited on stage to share his love for Stride Waves. During his interaction with the MC he said: “As the Stride brand ambassador, I’m extremely happy to be able to unveil Stride Waves. I just love the fruity enjoyment that comes in one wave after another. Being ‘Lang’ is love for life, the pursuit for freedom, and challenging the stubborn or the rigid. Young people are supposed to be ‘lang’, to be brave enough to express themselves and pursue their passion. 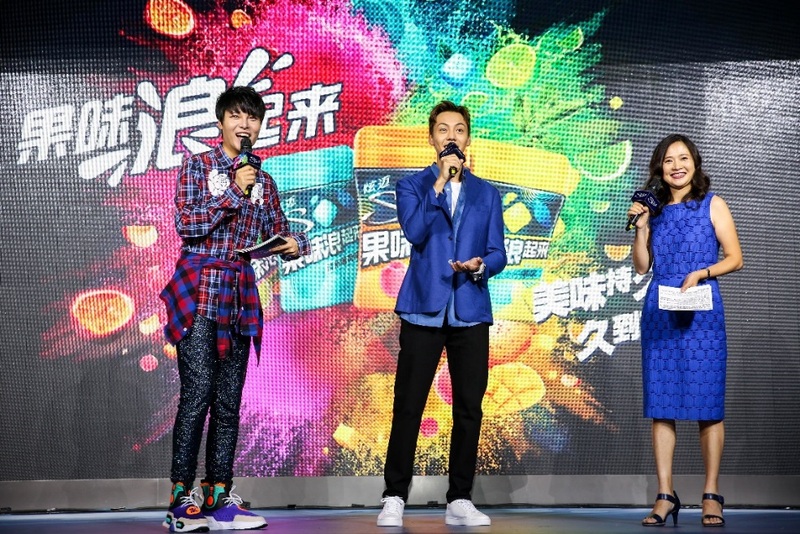 It’s a great honor for me to represent Stride to promote its unique brand spirit to fans and consumers.” With the unstoppable waves of excitement brought by Stide Waves at this event, William Chan with four crews of young people representing the four different flavors of Strike Waves had a remarkable style makeover. With different dances and performances, each crew showcased their unique interpreation of the "Lang" spirit, giving the audience wave after wave of pure enjoyment. Stride Waves is already available in supermarkets and convenience stores in major cities as well as the online flagship stores of Mondelēz China on major e-commerce platforms such as Tmall.com and JD.com. Mondelēz International, Inc. (NASDAQ: MDLZ) is building the best snacking company in the world, with 2017 net revenues of approximately $26 billion. Creating more moments of joy in approximately 165 countries, Mondelēz International is a world leader in biscuits, chocolate, gum, candy and powdered beverages, featuring global Power Brands such as Oreo and belVita biscuits; Cadbury Dairy Milk and Milka chocolate; and Trident gum. Mondelēz International is a proud member of the Standard and Poor’s 500, NASDAQ 100 and Dow Jones Sustainability Index. Visit www.mondelezinternational.com or follow us on Twitter at www.twitter.com/MDLZ. Mondelēz China (formerly Kraft Foods China) entered the China market in 1984. Headquartered in Shanghai, Mondelēz China is a leading company in the snacks business, including biscuits, candy & gum and beverages. With more than 4,500 employees, Mondelēz China has established manufacturing plants in East, South, and North China. The Chinese name Yi Zi (亿滋) represents the company’s vision to bring an abundance of deliciousness to consumers. Official website: www.mdlz.cn; Weibo: www.weibo.com/mdlzchina ; WeChat: MDLZchina..